For the past 10 years, a video BOOM is underway on the web! Since the acquisition of YouTube by Google announced on October 6, 2009, video has changed the internet and the user experience in ways that print, text and static graphics simply cannot compete with. Which is precisely why you need video content produced for your business. Video content has the capability of catching the reader’s attention, and has a much greater effect than other types of advertising. YouTube is the one of the most popular websites on the net, and for good reason. And Facebook video advertising has become one of the most productive forms of advertisement available. In an age of instant and visual adherence, your audience is much more likely to watch a video to hear and see what your product has to offer. This is why you need video content produced. If you are not using this tool yet, odds are that you will be in the near future. And you might be surprised how powerful, and affordable, our video production services really are! By having professional video content produced, the consumer is much more likely to leave comments and discuss the benefits of using your company to solve a need. This is regardless of what you are trying to present to the viewer. For example, a simple explanatory article will be very effective. You can create a helpful ‘how-to’ video that people would prefer watching (as opposed to reading a step-by-step article). We specialize in videos that are classified as ‘non-skip’ videos. 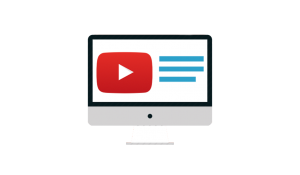 These forms of videos typically include useful information and impressive graphics. Non-skip videos work at a much higher rate than those that can be skipped. Although video will take a modest initial investment, the bounty will pay off in the long run. When you see your company’s exposure increase, you will be glad you picked this avenue of advertising. Almost 80% of companies using video say that their revenue has increased. With the busy lifestyle most of us lead we are often multitasking. Video allows potential costumers to go about their daily lives, since video is typically easier to digest than reading a dense article. Just look around: many people are likely on their cell phones right now while they do another task (walking, waiting for the bus, etc). After time, you build an organic following and a trust factor. Videos are easy for your core audience to share with others, and this will increase the chance of your content being shared over time.